Se questa è la tua prima visita, assicurati di leggere le FAQ. Inoltre, ricordati che per scrivere un post o rispondere ad un topic, bisogna registrarsi al gioco. Per iniziare a leggere i topic, seleziona il forum desiderato tra quelli indicati di seguito. It's time for crazy rabbids to go hippity-hop across your island, time to open stripy egg loots with a touch of hope while cleansing the island from the Party Crashers' unfortunate influence... yes, it's Easter Event time and we're sure you've been looking forward to welcoming it to your home island! The already known content will be made available again, along with brand new features - some previously announced in a Sneak Peek: a new General, Explorer, Geologist, Buildings and more! New aspects & changes are highlighted in blue color. All relevant quest chains will be triggered upon reaching level 17; if your level is below 17, you will receive a quest tasking you to reach level 17. So hurry up, you surely don't want to miss out on all the fun! Se avete bisogno di assistenza, non esitate a contattare il team di supporto in italiano. Non esitate a contattarmi in caso di necessità, ma vi invito a scrivermi in inglese. Stripy Easter Eggs are the Easter Event currency. During the Event, all players have the chance to gather Stripy Eggs. The explorers sent-out during the Event will be able to find Stripy Eggs on all regular treasure searches. Every 5 days, you will get one Easter Quest Chain (with several sub-quests), that will offer Stripy Eggs as a reward. The Event Quest Chains will offer quests for 2 adventures in which hidden Easter Eggs have to be found. There are 8 adventures in total, with a maximum of 9 hidden eggs in each. Every day during the event, guilds will get one random guild quest from a total of five. Completing this quest at an individual level will grant a small amount of Stripy Eggs. The more guild members that complete their individual quest, the bigger the grand guild reward is at the end of the day. Almost all Missions and Scenarios will reward Stripy Eggs. Ventures will not reward Stripy Eggs. Coop Adventures will receive a boost to support the effort finding players, who are willing to participate in them. All Expeditions will provide Stripy Eggs as loot. There will be no islands with Stripy Eggs as colony yield. Stripy Eggs will spawn on the home island and can be collected. Every time the Party Crashers' camp is defeated, the corresponding quest will give a small amount of Stripy Eggs. You can defeat the camp with your own generals or with the help of your friends, who can use special buffs to defeat them. There will be packages with Stripy Eggs available for purchase in the in-game merchant. Some achievements will grant Stripy Eggs as a reward. A special quest chain consisting of several mini-quests that grant Stripy Eggs as a reward. Mr. Croix Sant's new delight is intended to give a little experience boost and variety to the event itself, while providing an interesting story: Mr. Croix Sant and the Easter Bunny's assistant partnered up to bring a brand new treat to the children. Meanwhile, the Easter Bunny boss has decided to skip Easter altogether this year, which has left the new-found partnership rather worried... As you progress further in the quest, you'll find out additional details to help them get things under control. The sub-quests composing the quest-line will be split by level ranges as usual, and the requirements and rewards will be balanced accordingly. A buff that will be necessary to be created for the "Mr. Croix Sant" quest chain. It can be produced in either the Provision house or the Rarity provision house. The buff cannot be traded or gifted, and it can be redeemed for its original cost once the event is completely deactivated. A new list of adventures has been selected for this year's event Seasonal Adventures. The resources and experience rewarded upon completion of these adventures will be doubled. This applies only to resources and refillers and XP obtained, not to the buffs or buildings. *Note: the Scenario "Where Do Easter Eggs Come From?" does not reward Stripy Eggs, but is affected by the Seasonal Adventure bonuses. 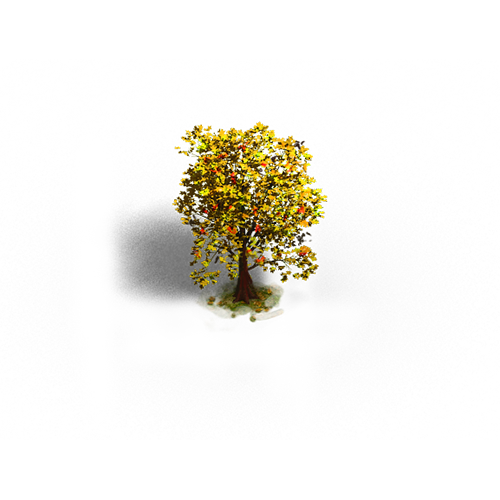 This will be available from the shop for event currency only; a great way to spend any leftovers you have! The Party Crashers represent the daily military objective of the Easter Event. Their camp, located on the "Event Island" in the centre of the map, is connected to the main island by a bridge. 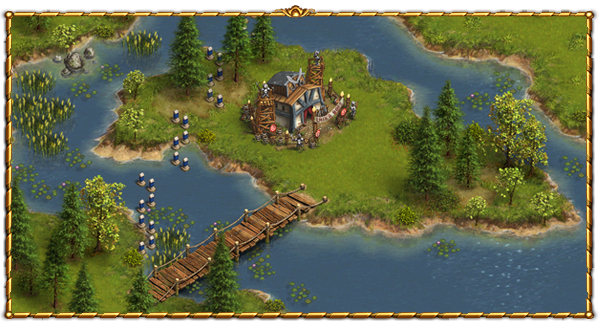 This bridge, as well as the "Event Island", can only be accessed by your generals. It cannot be built upon (buildings, decorations or roads) and collectables will not spawn on it. You can defeat the dastardly Party Crashers with your very own generals, or by asking your friends for help to bribe them off your island if your millitary might is predisposed. If you're into military campaigns, you can simply send your generals to confront the Party Crashers with a show of force. Initiate the attack to the Party Crashers' camp located in the centre of the map; your general will cross the bridge over the lake and will introduce the crashers' to the pointy ends of their weapons. If your generals are busy with more important matters, why not go for a diplomatic victory? 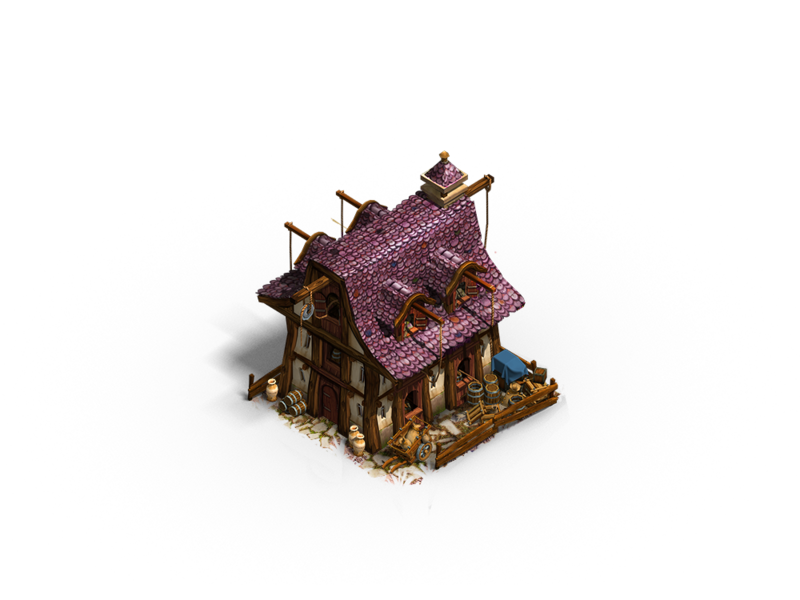 Ask your friends to create buffs in any of their provision houses to help you with the Party Crashers. 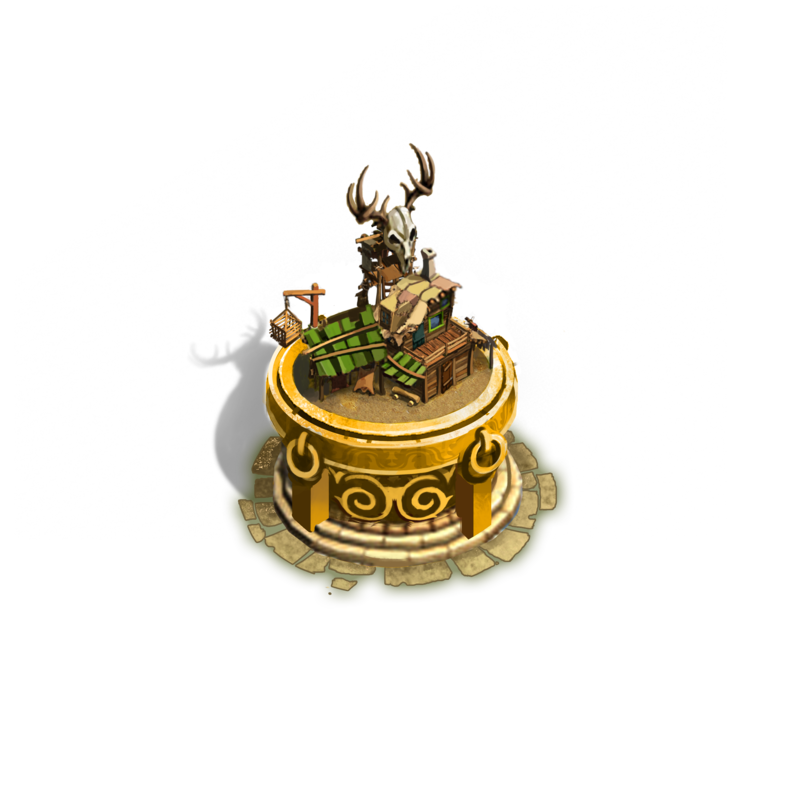 The buffs themselves will not change any units in the camp, but it will cause the "Peace" quest to progress to competition. It is important to note as well that this will only happen if the quest is active, so using a buff on a friend's island whose Party crashers camp has already been destroyed, will be wasted. 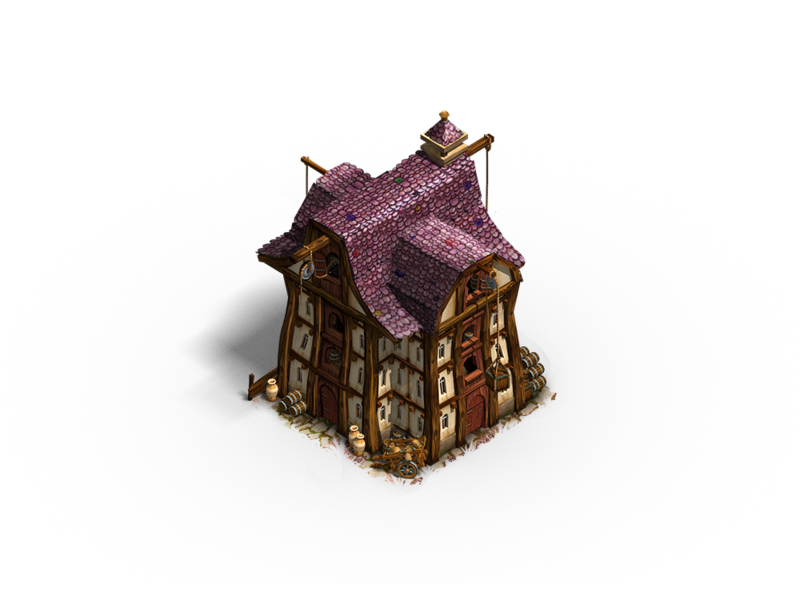 The production time in the Rarity Provision Houses should match the production time of a Provision House with a Level 5 upgrade. Also in both provision houses, the production cost will be identical. When using buffs on a friend's island to clear the Party Crashers' camp, a new interface will appear, allowing you to apply multiple buffs, similar to defeating a Golem for the Halloween event. The "Party Crashers" feature is available until the Removal phase. As in previous year, there will be unique achievements related to the event, which include Stripy Eggs rewards. The achievements are connected to a certain building and depending on the points you gathered, the building will change its design. No achievement will grant 0 points and it will not be required to have 100% of achievements to reach the final level of the achievement building. This year's achievement building is the Spacious Storehouse, returning from its debut in 2016! It adds a considerable boost to your available storage, providing an almost impossible capacity for its relative size, and it can only be upgraded when you reach a certain number of achievement points during the (current) event. 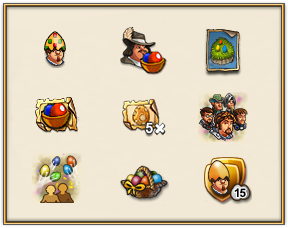 Finishing Easter quests or playing Easter buff adventures are only two of many ways of collecting Easter achievement points. 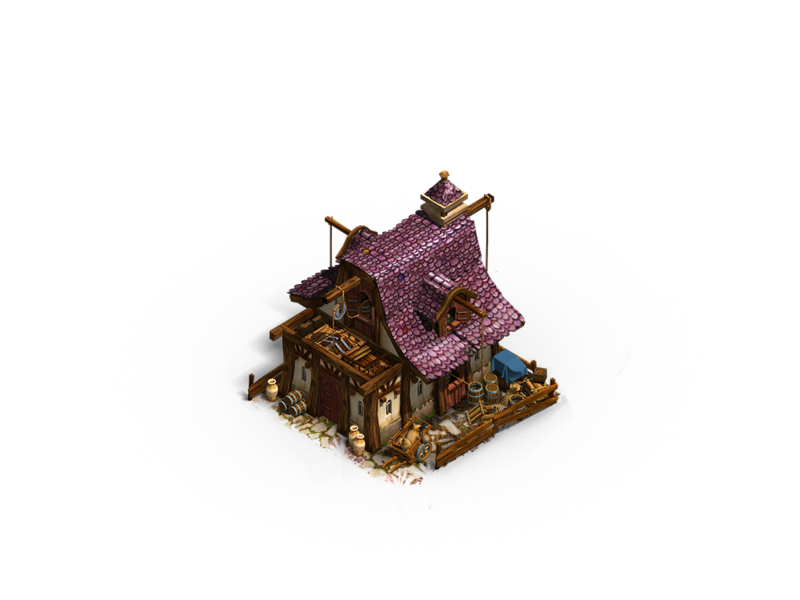 The building will be available as a quest reward from the quest chain "For my most loyal egg hiders". The building will be available in the Star Menu and can be placed on a free spot. The building will be available after the Easter 2019 Event, independent of any achievements completed. Aside from having a visual appeal as decoration, the building also serves as a storehouse. The amount of goods that can be stored increases depending on the achievement points that are earned throughout the event. 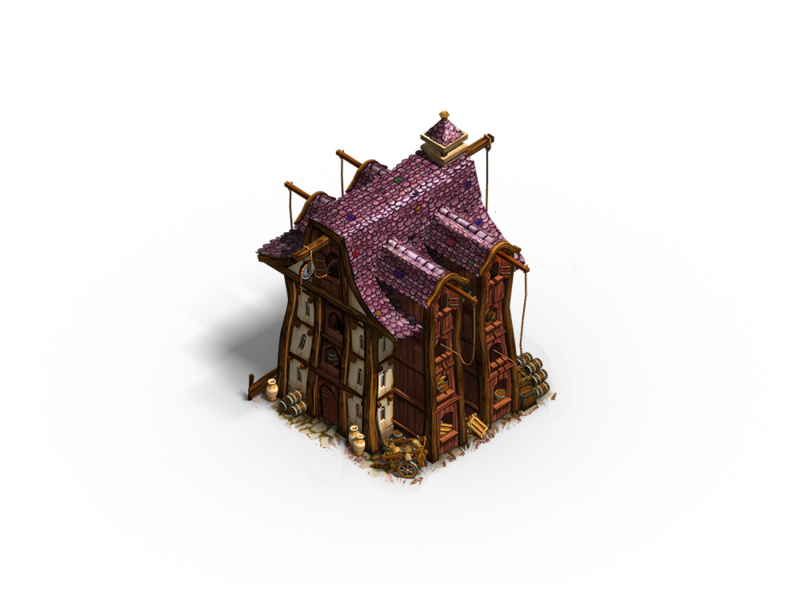 It is intended for this building to have the largest storage capacity in the game when fully upgraded, rivalling even the Improved Storehouse! To upgrade the building's level, specific Easter 2019 achievement points have to be gathered. Every time enough points are earned, an icon will indicate that the building can be upgraded. The upgrade can be done without any additional cost. The building is indestructible. When destroyed, it will appear in the star menu. It can be built again and upgraded to the original level again without additional cost. In this year's event, we have a whopping three new specialists for you to add to your collection! Whether you want to bolster your army with General Boris, go on a gold hunt with the gold-hearted Geologist, or find buffs & adventures on your treasure searches with Princess Zoe, there's something for everyone! 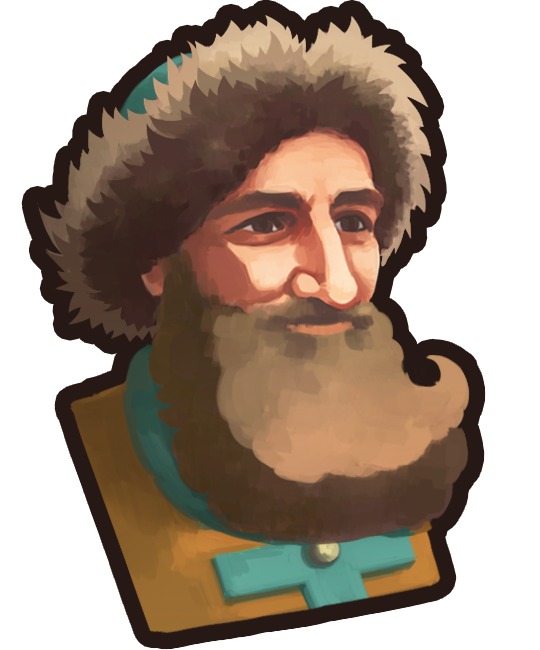 Hailing from the Lands of the East, General Boris excels at defying even the worst of odds in battle, always coming out on top! His unique trait is "Astute Strategist", which increases the attack damage of your Swift Units by 50%, while also decreasing the attack damage of enemy Swift Units by 50%. He'll also gain an additional 50% combat XP from defeated foes! 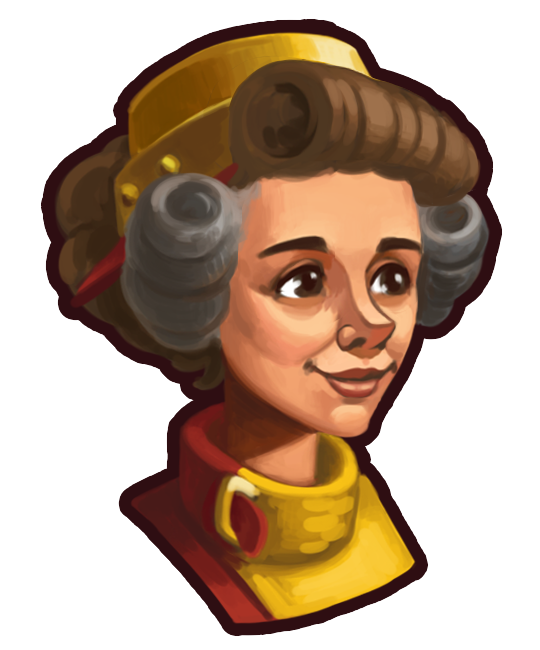 Our first female Geologist with voice effects, the Gold-hearted Geologist will help you line your coffers with, you guessed it: gold! Not only will she find gold ore deposits of double the usual size, but also in half the usual time too. But it doesn't stop there - when she's successful in a search, she'll refill another random gold deposit with 100 gold ore; I'm sure the Mad Scientist will want to know how she's making gold out of thin air! 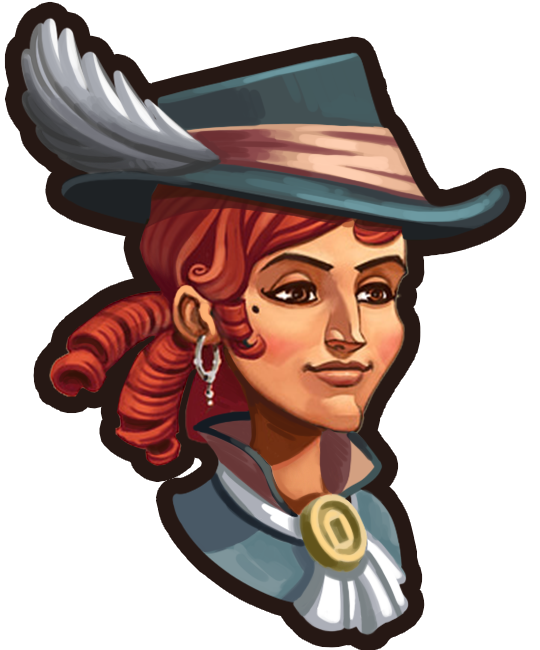 Those with a keen eye will recognise Princess Zoe already - she's helped you take your first steps inside "The Settlers Online", as well as stopping by whenever you gain that all important level up! For Easter, Princess Zoe will take to one of her long-wished aspirations: becoming an Explorer! Not only does she have an innate +200% task speed, but she also brings with her a special "Princess Bonus" to boot! During any treasure search, she has a small chance to find a buff and/or adventures! If she's on an adventure search, she'll always bring back a buff! These Buffs can be found additionally when searching for adventures with Zoe. Zoe will always find a buff on Adventure Searches, there is no chance to find "Nothing". Zoe has a chance to find Buffs AND a chance to find an Adventure when searching for treasures. There is also a chance to find no Buff or no Adventure - in worst case neither is found. Description: A daring rider and astute strategist, he trains your cavalry to use muskets and frontal attacks. Fields 180 units. Travels twice as quickly to adventures, and recovers twice as quickly from defeat. First strike, Flanking, Splash Damage and "Astute Strategist". Description: Geologist that finds gold ore deposits of doubled size. The deposits are found in half the usual time. Refills another random gold deposit with 100 gold ore after a successful search. Description: Explorer that has a chance to find buffs and adventures on all treasure searches. Always finds a buff on adventure search tasks. Description: The Major General has seen many battles and is able to command armies of overwhelming size. Travels twice as quickly to adventures, and recovers twice as quickly from defeat. Fields 270 units. Description: Geologist that finds iron ore deposits of doubled size. Description: Explorer that rolls the loot table for treasures twice on every treasure search. Travels twice as fast as regular explorers. Description: Explorer that rolls on the loot table for adventures twice with every adventure search. Description: A special attack General. Recovers and travels to an adventure island twice as fast as a Tavern General. Leads 220 units, has 1st strike, splash damage, attacks the weakest target first. Description: Special General. Recovers and travels to an adventure island twice as fast as a Tavern General. He deals a decent amount of damage. He has a very high amount of Hit Points and leads up to 200 units. Splash damage, attacks the weakest target first. Leads up to 250 units. The Mad Scientist visited Sonya holding crumpled sheets of paper in his hands with detailed scribbles on them looking like a construction plan. Upgrades will increase the population up to 650! Requires only 2x2 squares of space! 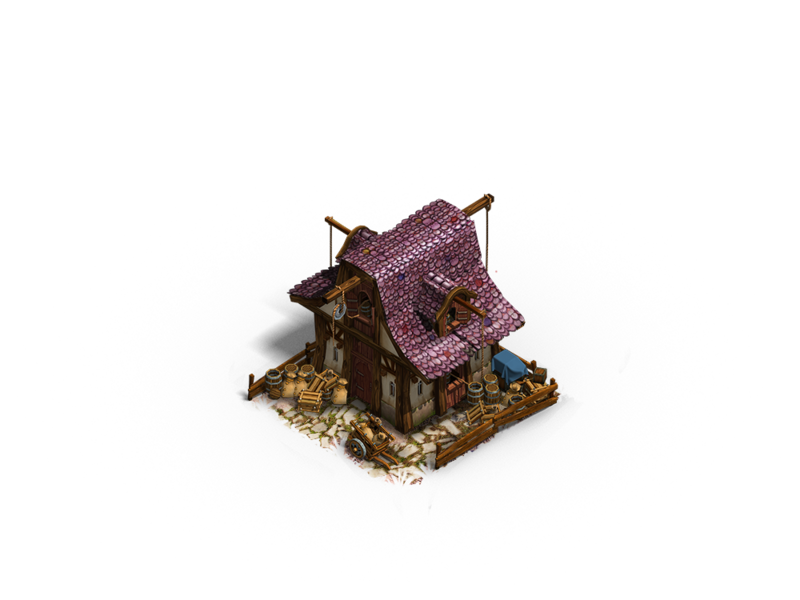 Tributes are a new type of building which has a unique property: they only take up the space of your everyday decoration building, but can have effects along the same lines of production buildings! The tribute pictured above is the "Noble Hunter Tribute" - this building honours the vocation of all your hunters, increasing their efficiency at gathering meat, for free: producing 3 Meat every 6 minutes. 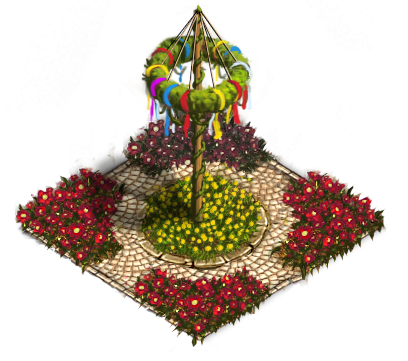 The Spring Park is a culture building that applies zone-wide buffs at the expense of resources. To use the building, you have to click a button in its UI, that will prompt a zone-wide buff on your island. 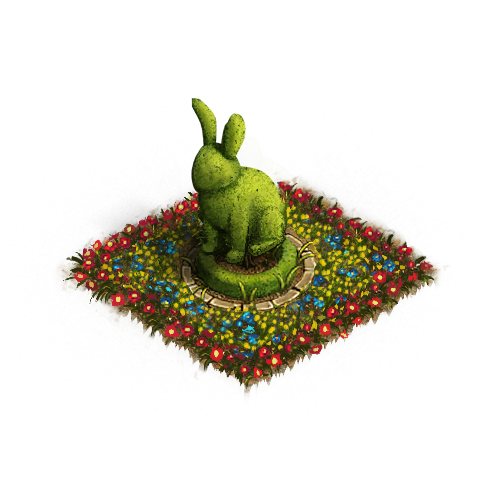 Very much in line with this event's theme, the Spring Park produces spring themed buffs: Walpurgis Night, Spring Festival, Spring Cleaning and the new Children's Easter Novels. Owning multiples of the same building will not offer separate functionalities or cooldowns. Instead, every duplicate increases the cooldown speed by 100%. For example, a buff that will usually trigger a 1-hour cooldown will only trigger a 20-minute cooldown if you own 3 buildings (60min / 300%). Since this is the second time the Spring Park has been available, the limit is now set to 2 per event to accommodate those who wish to reduce the cooldown even further. Walpurgis Night During this festival, witches perform rituals that will help them find ingredients for spells and potions. Spring Festival Hold a festival that celebrates the reawakening of nature and access to fresh cooking ingredients. Spring Cleaning The whole island comes together to clean up everyone's houses and perform maintenance on machinery. Children's Easter Novels New Easter-themed children's novels are out and everyone is trying hard to create a copy for every kid as fast as possible. Description: Culture building with four buffs. 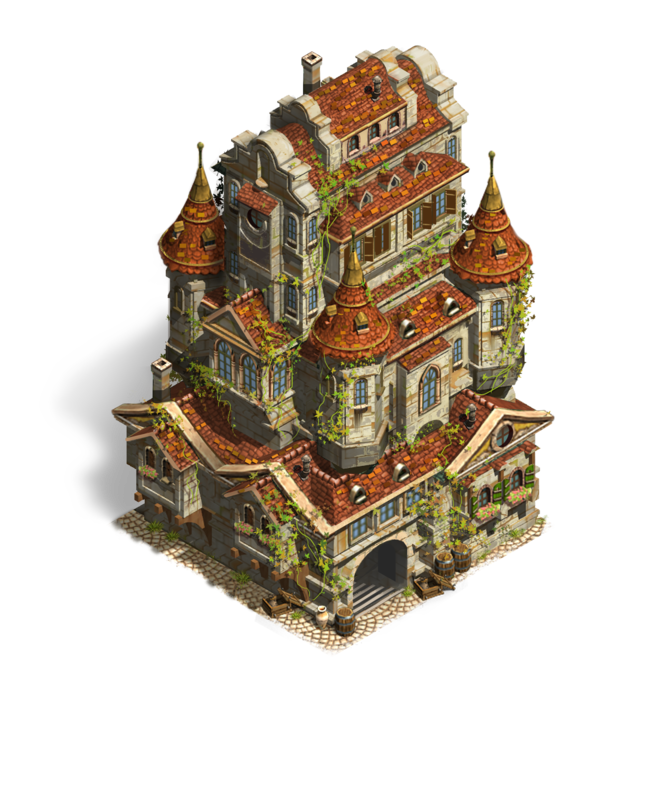 Description: An impressively tall building to house vast amounts of Settlers in a small area. Can be upgraded multiple times. 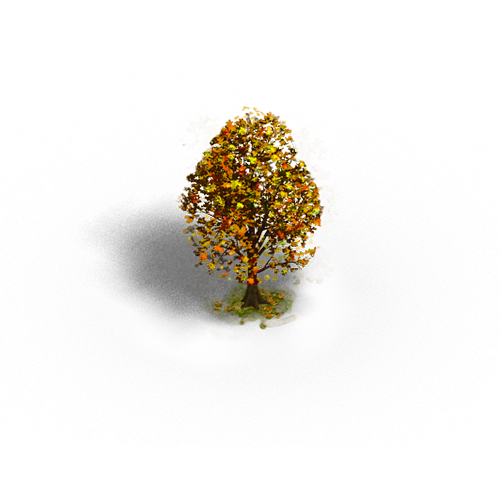 Description: Produces an endless amount of Iron Ore. Description: A building that produces flour three times as fast as a regular mill. Description: Residence to be built on water, provides space for at least 40 Settlers (level 1). Description: Places a building that produces sausages three times as fast as a regular butcher. Description: Refills fields three times as fast as the regular silo. Description: Produces water without consuming resources. Description: Decoration building with sound. 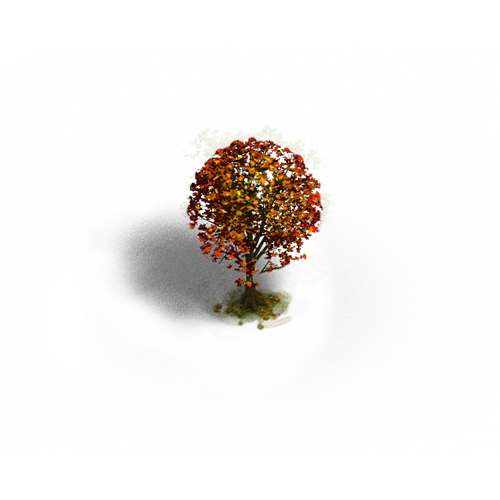 Description: A decorative Elm, a decorative Maple and a decorative Beech. Name: "Where do Easter eggs come from?" Description: Special Easter buff adventures only available during the event. Description: A Mini Adventure for one player. Description: Garrun the Trapper has decided to take it upon himself to sabotage Easter. Help free all the bunnies! Zone Effect: +100% recruitment speed on Barracks, Elite Barracks for 8 hours. Effect: Use on a bakery to increase its productivity x3 for 24 hours. Effect: Use on the Mayor's house to increase growth to 400% for 12 hours. Effect: Speeds up the Provision House's production times up to 300% for 12 hours. Effect: Adds 2,500 to any deposit. Description: Resource needed to upgrade buildings to level 6. Description: Adds 6,000 coal to a coal deposit. Description: Provides a randomly chosen buff (amongst others: coal/iron/gold refiller, Rabbit Lucky Charm, Cookies, etc.). Description: Contains 65 Stripy Easter eggs. Description: Contains 260 Stripy Easter eggs. Limited to the given amount per player for this year's event. If you already own the item (regardless of the amount) from a previous event, you can obtain the listed amount of the item again this year. WHAT HAPPENS AT THE START OF THE REMOVAL PHASE? Easter quests will be deactivated, except Easter guild quests. As soon as a new Guild Quest is received (at the normal time), no new event guild quests will be received. Regular guild quests will reappear instead. Achievements will no longer be obtainable, and the final score of the obtained Easter 2019 achievements will be the one that determines the level of the event building. The achievement category will disappear for players who didn't gain achievement points during the event. The first spawn of collectables after the Removal phase won't provide Stripy Eggs anymore. In very rare cases, when returning shortly after Removal phase, Stripy Eggs will still be found. Adventure and Expedition loot won't include Stripy Eggs anymore if completed during Removal phase, regardless of when they were started. The Easter design will be removed from the loading screen. The Event window will be deactivated. The Event shop will still be available. WHAT HAPPENS AFTER THE EVENT DEACTIVATION? The Event Shop category will be deactivated. New trades containing Stripy Eggs cannot be posted anymore. Existing trade offers containing Stripy Eggs will be invisible until they expire. Stripy Eggs will be removed from the game and exchanged for Gold Coins. The exchange will be conducted with the next game update, see "Stripy Egg exchange"-info below for details. With the next game update. The exact date and time will be announced in time. All Stripy Eggs will be removed from the game and converted to Coins (1 Stripy Egg = 1 Coin). Please keep an eye on the Game Update news for details. Every player will receive a message in the game. Stripy Eggs in the Mayor's House will be automatically exchanged to Coins and sent via in-game mail. In case there were no Stripy Eggs left to exchange, the mail includes no Coins. Stripy Eggs in the Star Menu will be exchanged to Coins and appear as Coin buffs in the Star menu. All running trade offers and requests will be removed from the trade. Coins instead of Stripy Eggs. will be exchanged to Gold coins. The mail will remain unchanged but contain Gold Coins instead of Stripy Eggs. Tutti gli orari sono GMT +1. Attualmente sono le 13:52.